Now I am a big fan of the kindle app on my iphone and on my ipad (https://goo.gl/eVguBY) to read my current books (at the moment it is Chris Hadfields – An Astronaut’s Guide to Life on Earth http://goo.gl/XcvJM7 – Recommended!! ) There is so many great #physed bloggers out there, I don’t always get time to read all their posts. Two weeks ago I came across Readability (https://www.readability.com/) and what a great add on it is to compliment my kindle app. What is does is take the information from a webpage and clean it up to allow for a better reading expercience. In addition you can save articles for reading later, or the best bit for me is you can send them to your kindle. Once you have set it up you just click the add on, click save to kindle, open your kindle up (as long as you are connected), and then it will download the article to the kindle device or kindle app! PERFECT for reading blogs on the go. With the free Readability browser add-on, you’re one click away from a better web experience. Readability stores articles you find on the web for reading at your convenience—any time, anywhere. Enjoy Readability anywhere you are with our free apps for iPhone & iPad, and Android devices. You ever had the problem of copying your name list into sheets and they are all in the same cell? Watch the video below to show you how to split the cells for easy data manipulation. Check out the video below on how to use google docs to create quick and easy mindmaps. So about 18 months ago I read a great post from @KenForde about how he had used Collabracam in his lessons (click here). I thought to myself I would love to use that, but at the time did not have the tools at my disposal (lack of devices). In Ken’s post he shows this example (click here), and I was thinking to myself that this has so many possibilities. Today was the day I managed to use this app for the first time after purchasing it after reading Ken’s post. My colleague was teaching her lesson of handball and was coming towards the end when she put them into a game like situation, it suddenly dawned on me that we could try Collabracam out. Now today was really just to see how it works, but I can see me in the future using this for tactical and game play discussions. By having multiple angles you can have a better idea of what is happening in the game and discuss decision making. 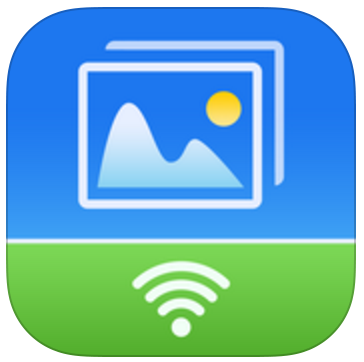 The current version you can have up to six devices connected as long as they are on the same WIFI connection. Once set up you will need one device as the controller/producer and set the other devices in the desired positions. You can give instructions to each camera for example “pan left/right”, pretty sweet. The magic happens by clicking the camera you want to record from, then at the end you can either have all the single clips saved from the multiple devices, or have one video combine all the clips. The video below shows the position of the two ipads in my gym (static) and the one ipad that was constantly moving following the play. The video has NOT been cut at all, everything was done in the app, just music added, and I changed the position of the static devices. So how could you use this in your own practice? How could you incorporate this into other subjects around school? In the summer I was fortunate enough to be invited over to the US for the National PE Institute in which I presented a session on Plickers (link). 18 months ago, I was living in Shanghai and I had agreed to meet up with the one and only @andyvasily and @FizzicalEd as they were in Shanghai, before travelling up to Nanjing. We met for a coffee and chatted all things #physed. Andy told me that he was going to be one of the keynotes at this conference in the States and that from all the conferences in the next year or so, this was the one to attend. I started to research this conference and he was not wrong, with a great line up of keynote speakers, I was not going to miss it. During the year I had worked quite a bit with @SchleiderJustin & @NicholasEndlich on various projects and we decided to travel down to the PE institute together from New Jersey, only about a ten hour road trip! Now that was a journey! I did not expect to be mentioned in the opening and closing keynotes, that was certainly a surprise. It was great to be sat with so many connected educators it was like a high school reunion as most of us had spoken a lot on twitter or voxer. This was the first time I had physically met Justin and Nick, and yes Nick really is THAT tall!!! Main one for me was the outsource, you cannot be an expert in everything so outsource your lesson and bring the expert to you and your gym. Nathan spoke about the 4c’s in his presentation but the biggest takeaway for me was you have to work out of your comfort zone to achieve extraordinary results. We have to break the mould! The connected educator is one such way of breaking that mold and pushing the profession forward. By reflecting on what is going on in their own classroom than just ‘turning up’ and seeing what goes on in others classrooms, pushes us all forward. I always think of the kes clip from the late 60’s when I think of the “Traditional PE Teacher”!! After spending some time with Andy his story & messages never gets old. Andy spoke about a terrible accident that he had while in Cambodia in which he has never fully recovered from, and was lucky not to die. This story is certainly interesting to me as I had a similar incident happen to me. I was in my first year of teaching in the North West of England where I was doing some substitute work as a Science / PE teacher in a secondary school. I would drive up there on a Sunday evening and stay there for the week before driving back on a Friday to spend the weekend at home. I was about 30 minutes into my journey on the Sunday when I had an accident on the motorway (freeway for my American friends). The car went up the embankment and rolled back down and eventually came to rest on the hard shoulder facing the wrong way. Now just that weekend my grandma had given me my granddads old teaching whistle. My grandad had been a Headmaster (principal) of a primary school, and had been given an OBE from the Queen for his services to education. I never saw him teach but I do believe that he made an impression on me to take up my chosen profession. When I got my car back and my stuff from inside the car, the only thing that I never got back was the whistle from my late grandfather! After I saw the pictures of the car that my sister had taken, someone was certainly looking over me that day. I was very lucky to only come away from the accident with a few stitches and no lasting damage, but it could have been a completely different story! Since then I have always wanted to keep on improving, and if I ever think I am the most knowledgeable person in the room…….I am in the wrong room. If we put an expectation on the students that we teach to keep learning, then as a professional we need to model this mindset. I was fortunate enough to work at one of the best 6th form colleges in the UK, that was outstanding by ofsted for a record number of years. That said we knew what excellence looked like and had to work hard to keep that standard up. From the delivery of instruction to the feedback we gave to individuals inc verbal and written. Everything was checked, checked and double checked. At the start of the year we would sit down as a team or as a module leader and plan the year out, then the weeks out, then the days out. Two weeks of solid planning to prepare us for the coming year certainly helped as we all knew the direction we needed to be going in. We knew what the end product had to be (BTEC specification) and would have a backwards design to be able to achieve all the criteria. This is essential for any educator as if you don’t know what the end product will be, what is the goal of your program/curriculum? It is essential to be planned accordingly. Ok…..I got slightly sidetracked there….back to the PE institute. Andy talks about the pursuit of excellence and that physical education should be at the core of any curriculum, and I could not agree more. Both as professionals who want to strive for excellence in their departments and programs, along with wanting the students to strive for excellence in their performances, this cross over can then be taken into their academic subjects. The research is there we all know it! Andy finished with Jim Carrey inspiring commencement speech……you should take some time to give it a watch! Joey closed the conference with a reminder to all PE teachers out there that no magic app will save your teaching and that we all need to remember what the purpose is of a good program. We need to go back to the roots of teaching pedagogy and teach physically literate individuals who carry on being active well after they finish school. I came away from the conference with lots of take aways but for me personally was great to finally meet the array of people I had spoken so much too on twitter and voxer over the past twelve months, who not only want to improve their craft but also push each other to become better educators. Conference two was going to be in my district and was going to be the first Google Summit in Saudi Arabia. My district has seven schools with both British and American curriculums all at different sites. They had called for presenters and one of the digital coaches had asked if I was going to present. I was like sure, why not. I put two presentations in thinking hopefully one will be accepted, guess what? Yes they both got accepted !! I had decided to do a session on Doc appender and autocrat (click the titles to see the slides), so I had been busy getting ready for these two presentations. I remembered @mjhamada session from the #Physed Summit and really liked the way she had designed her presentation. I got in touch with her and she was happy to let me use her design, though she gave credit to another teacher at her school. The sessions went well and I got everyone up and moving, even though someone managed to delete a few of my slides!! During the conference some of the PE teachers asked if I could do a session with them, and I thought why not. We went into a classroom and I showed them the digital portfolios we had just implemented (click here) and I got some of them set up using gclass folders. So three sessions in all, was an enjoyable experience though the time just seemed to fly by. My biggest takeaway from the conference was that as I had recently completed my Google teacher awards level one and two I now needed to go on and do my exams for the Google trainer!! Now this conference was only a week ago and to be honest I was thinking how good the PE institute was and it would be hard to beat it in terms of keynotes and the quality of the sessions. Months before the conference was even announced one of the organising committee got in contact and asked if I would like to present, of course I would. From me agreeing to present at the conference in those early planning stages it seemed to gather pace pretty quickly and the final product looked as if it was going to be a great conference. Travelling from KSA to Hong kong was going to be a trip in itself. KSA to Dubai, Dubai to Singapore, Singapore to Hong Kong, basically nearly a day travelling! After arriving I met up with my co worker from last year @thisiscoachblam and @andyvasily at the hotel, was great to catch up with both of them. The conference arrived and I was excited for the first day. Lots of good sessions coupled with some great keynotes. As educators we should be looking at that change and how we as individuals can make a long lasting impact on the youth of today. Being mindful each day and everyone should slow down by making time in their day to think about what impact do you have as an educator. By being constantly prepared and not overlooking the little details will make the difference in ones everyday practice. THE POWER OF GREAT TEACHING IS BY BEING PREPARED! His last message was about being that inspirational educator that makes the difference to others. 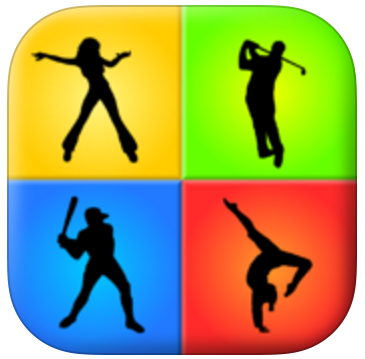 Join Nathan Horne, Physical Education teacher from ISS International School in Singapore and the Founder of iPhys-Ed.com, for his keynote as he helps you discover the best “apps” for your students in physical education. Data? Why? Why do we need to fitness test? Who is the data for? We do it, we collect the data and then it sits on the shelf! The what, why, how of physical education. So many powerful messages to think and reflect upon . Thanked twitter and voxer for pushing his practice. Aaron spoke about his brother who sadly passed away. The buterfly and Domino effect reminded me of a book that I currently reading called “The One Thing” by Gary Keller. Those little things can can make the big difference! Aaron questioned what people think of students in todays society. What is the root of the problem? Enjoyed Aarons messages about making the child feel important and how we teach, what we need to do to be efficient in the classroom. It has been a great few months with three great conferences, so many takeaways that I cannot put everything down in words. I do enjoy going to share my knowledge with other fantastic educators, but it just reiterates the importance of being connected. With the power of being connected, all the ideas in the world can be at your fingertips and that you as an educator just needs to go out there and find them. Go and do that ONE THING that makes a change in your teaching. One of my classes is currently doing circuits and I need to miss a lesson. How can I show them what I want them to do without being there? 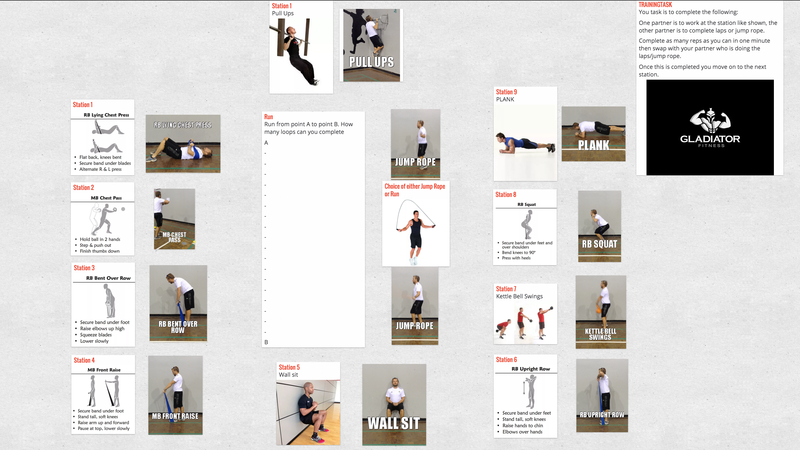 Not just plan the lesson but also use GIFS to allow them to visualise the movement. So much potential in all areas for skill demos. Ever thought it would be really cool to make your own app to make your life easier? It could be something in your social life or even in the classroom? If you know how to use Google Sheets you can!! You will need to use an add-on called AppSheet. So you can see the magic you will need to fill some information out. I thought it would be a good idea to start a list of #Physed teachers who blog and share information. 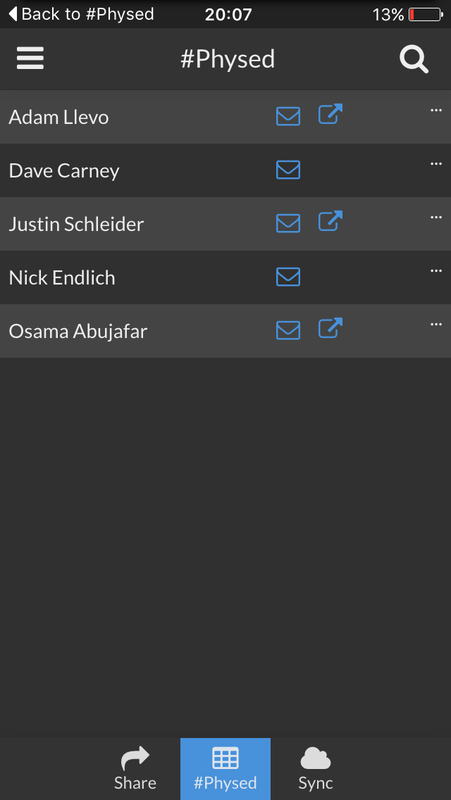 I took the first five names from @osama #physedme group that him, Reema and I set up last year. Add your details so you can see how it works. Next you will need to go to the app store or android store to download appsheet. You may want to copy and paste the above and send the information to your mobile via email or text message. Follow the instructions, you need to open it in Safari though. Then VOILA! Anything that gets updated in the google sheet will automatically update on the app and vice – versa. 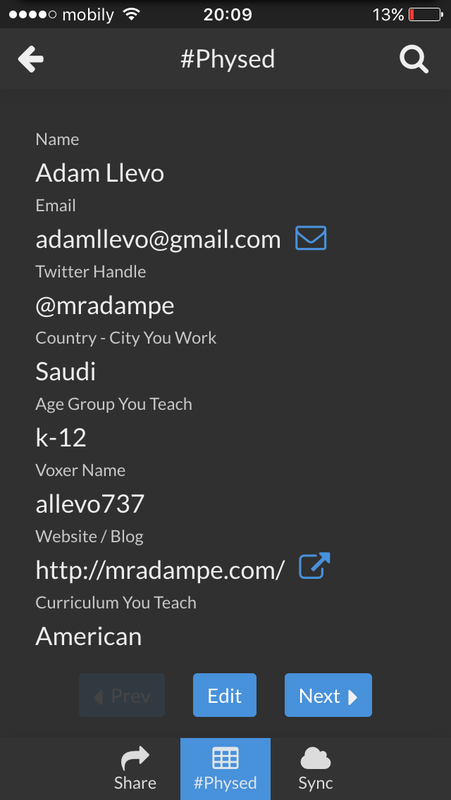 We can now have a list of #Physed teachers, their contacts and you can look at their blogs all from the same place. GENIUS! Once you click a teachers name you can access all their information, send them an email or go straight to their blog. If you realise the data is incorrect you can just click “Edit” and it will automatically change on the google sheet from before as well as the app. How could you use this in your life? School? What would you create from a google sheet? About a month ago I spoke about how I was starting to incorporate GIFs in the classroom (click here). Today I decided to try something a little different. I wanted to play the GIF image but also have video feedback on the same screen so students could see both. First job was to create my GIF. I found a youtube clip with the “perfect model” that I wanted to show and copied the link. Found a website that creates a GIF from a youtube clip (http://imgur.com/vidgif) and chose the 5 second part that I wanted to show to the students. Then downloaded this to my computer. I sent the GIF to my ipad using Simple Transfer Pro and then opened it up on my ipad. I noticed that the picture was not moving when I opened it up in photos, it was a static image. 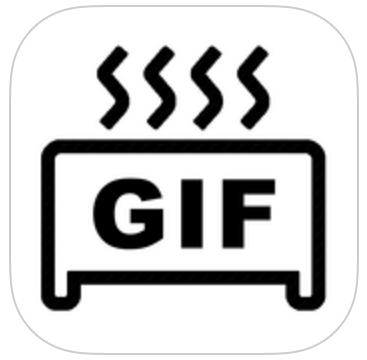 I loaded Gif Toaster and found it played perfectly. Reflecting, a quicker method probably would have been to download the youtube clip and then use Gif Toaster to make my GIF. I set up my BAM Video Delay but instead of just the one screen I used the multiple screen option (4 screens). This allowed the students to see their performance four times rather than just once. I changed each screen to a 10 second difference, screen one with a 30 second delay, screen two 40 second delay and so on. Opened REFLECTOR 2 on my computer and now I could stream both ipads to the computer. Lastly, I hardwired my computer to the TV so students could see their performances during the class. A great way for students to see the “Perfect model” but also compare their own performance in real time.